NEW YORK, Aug 9, 2011/ — A new shopping destination is born! Gilt Groupe announced today the launch of its standalone luxury retail site for men, PARK & BOND (www.parkandbond.com ). Built from the ground up to reflect the way men shop, PARK & BOND merges a curated selection of the world’s best brands with a continuously updated mix of editorial content designed to give guys the inspiration and advice they need to look their best. 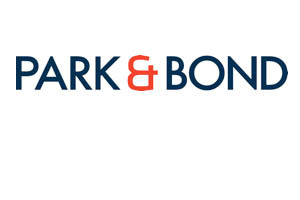 Led by President John Auerbach, the PARK & BOND team includes divisional merchandising manager Brooke Cundiff; head of editorial and creative Tyler Thoreson; director of editorial content Andy Comer; style director Josh Peskowitz; and head of business operations Brian Shaw. The name references two of New York’s most stylish streets—Park Avenue and Bond Street—and encapsulates the mix of classic and contemporary that is core to the PARK & BOND philosophy. Among the more than 100 brands launching with the site are Alexander McQueen, Isaia, Etro, Paul Smith, N.Hoolywood, A.P.C., Thom Browne, Thomas Pink, Todd Snyder, Vince, Theory, Common Projects, Brooks Brothers, and Florsheim by Duckie Brown. Much of the merchandise on PARK & BOND is curated as part of a full look and accompanied by editorial content to give men a context for their shopping experience. The site also offers exclusive merchandise from the world’s best designers; a free personal shopping service geared toward helping customers build the perfect wardrobe; and an ever-expanding lineup of “P&B SHOPS”: virtual boutiques—curated by industry tastemakers—offering exclusive selections of vintage watches, one-of-a-kind garments, hard-to-find men’s grooming products, and more. Launching on August 16th to coincide with GQ magazine’s September issue, PARK & BOND will host a GQ online store that will feature a selection of products handpicked from the pages of the magazine by the editors of GQ. The picks will be designated in-book as well as compiled on GQ.com, driving readers directly to the GQ online store on PARK & BOND to purchase instantly.